Set in the foothills of Mount Etna, this Sicilian farmhouse produces olive oil, cheese and citrus fruit, 16 km from the coast. 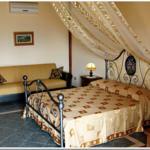 It offers air-conditioned rooms and bungalows. The Ghiritina estate includes an outdoor swimming pool, sun terrace and bar. Bikes can be hired at reception. Dance evenings are held every Saturday. 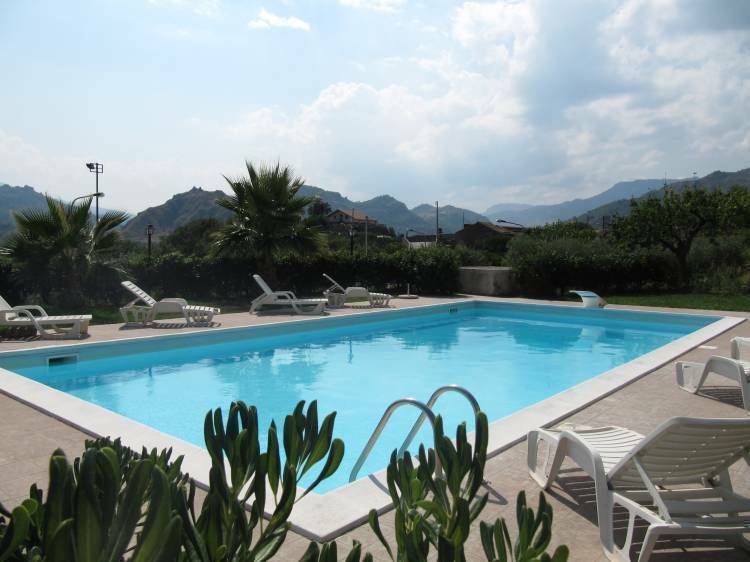 All studios and bungalows at Agriturismo Ghiritina have colourful furnishings and cool tiled floors. Each has a bathroom with toiletry set. Local specialities and pizza baked in a wood-burning oven are served at Agriturismo Ghiritina's traditional restaurant. An Italian style breakfast is available daily. The Giardini Naxos exit of the A18 Motorway is 15 km away, and it is a 35-minute drive to historic Taormina. The Alcantara Gorges are 3 km away. One older child or adult is charged EUR 30 per night in an extra bed.